Earlier this year, the word of the day was drink and I wrote about how I like to drink water. My sister took one look at the picture and said, “What about me? I like to drink coffee!” And she’s right, she does. Her morning does not start until she has that first cup, yet she can have some late at night and it doesn’t keep her up. 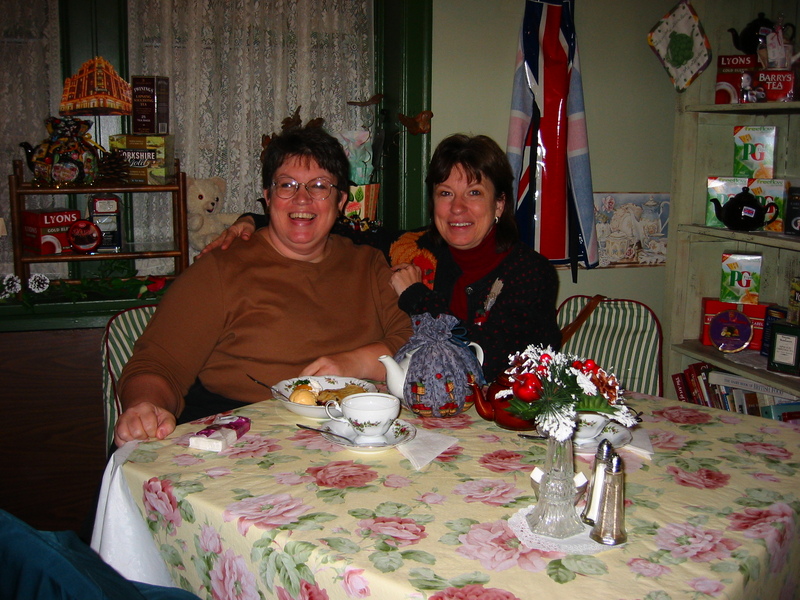 It’s not often that she has tea with me, but during one of her visits we tried out this tea room and had some wonderfully brewed tea. The tea and goodies were delicious, but the best part was spending the afternoon with her. Word for tomorrow – PALE. If you prefer to work ahead, see the list for the week under “A Word A Day”. Oh tea rooms are so much fun. I really think the idea of teatime around 3 pm is wonderful. I agree with both your comments! I enjoy a cup of tea several times a day. I’d forgotten that you liked tea! And tell Jaimie thank you.